Apple cut the iOS 10 Japan public transit preview image and left it on the cutting room floor during the iPhone 7 site refresh. It was inexplicably replaced by a transit map view of New York showing route suggestions to Prospect Park. 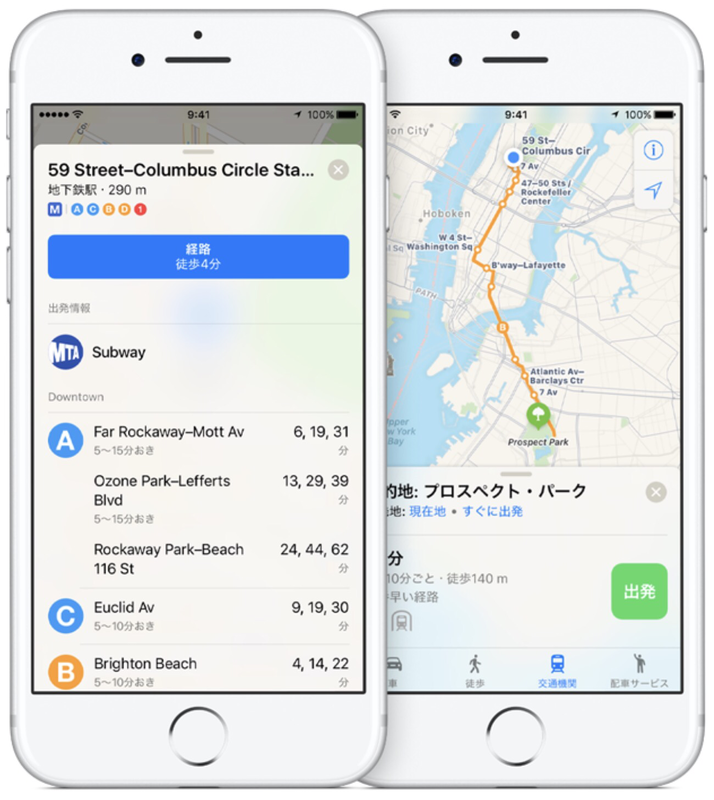 Why show New York transit on the Japanese site when Apple wants to promote the upcoming Japanese public transit for Apple Maps? I guess the Apple Maps team just can’t catch a break. No worries though because Phil Shiller gave us a new ‘don’t blink or you’ll miss it’ Japan transit map preview image during the iPhone 7 keynote. Even at squint worthy low resolution you can see the same Shinjuku station view. Subway lines and rail lines are now much thicker, a plus, but that’s all I can make out. Could somebody at Apple marketing with some common sense please copy the image from Phil’s Keynote slide and paste it on the Apple Japan iOS Map page? The Apple Maps transit team would be very grateful, I am sure. Update: The old Japan Transit preview image is still there on the iOS 10 Preview page. I lost track of it with the iPhone 7 refresh. The iPhone 7 page has its own iOS 10 Maps section with the New York transit image shown above. It would be nice if both iOS 10 Japan pages had the updated ‘Phil Schiller’ Japan transit image for closer inspection. The subway and rail line cartography improvements look good.